" A family farm, serviced and managed in a traditional way "
Ordinary eggs are those obtained in the traditional basic way, from hens kept in cages. Our greatest satisfaction has been to obtain the highest possible quality for this product, based on the effort invested in the facilities and the feeding. The result has been a fresh egg of the highest quality. 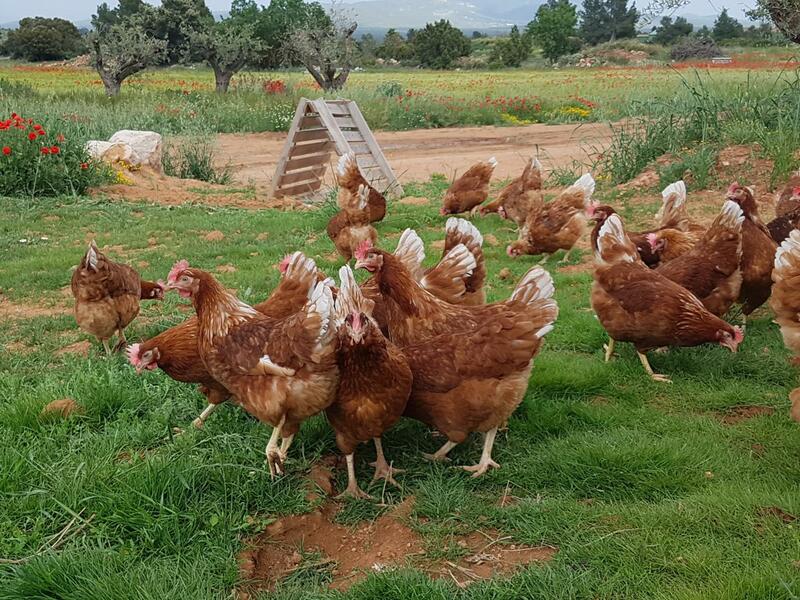 Free-range production hens enjoy access to outdoor parks and are fed with organic fodder without dyes, preservatives or antibiotics. 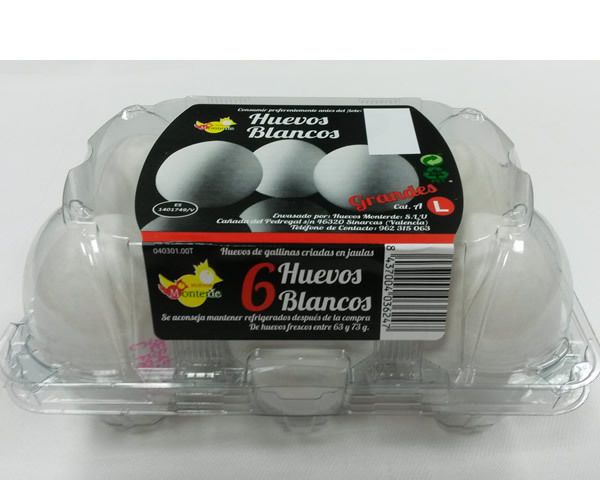 Using a modern cooking system and a subsequent layer of paraffin paint or colouring of several hues, we can preserve the egg for up to forty days at room temperature, with the advantage of the greater margin of utilization and use of each egg. During the cooking process, samples are periodically taken, from which the temperature, appearance, smell, taste and the ease of peeling are analysed. 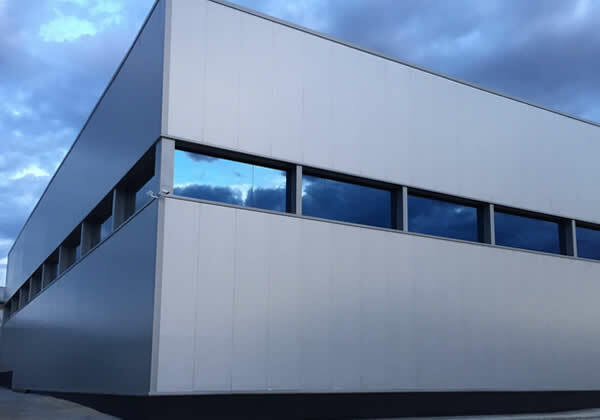 Later, in an approved laboratory outside our facilities, we carry out systematic microbiological analyses, guaranteeing the highest quality. 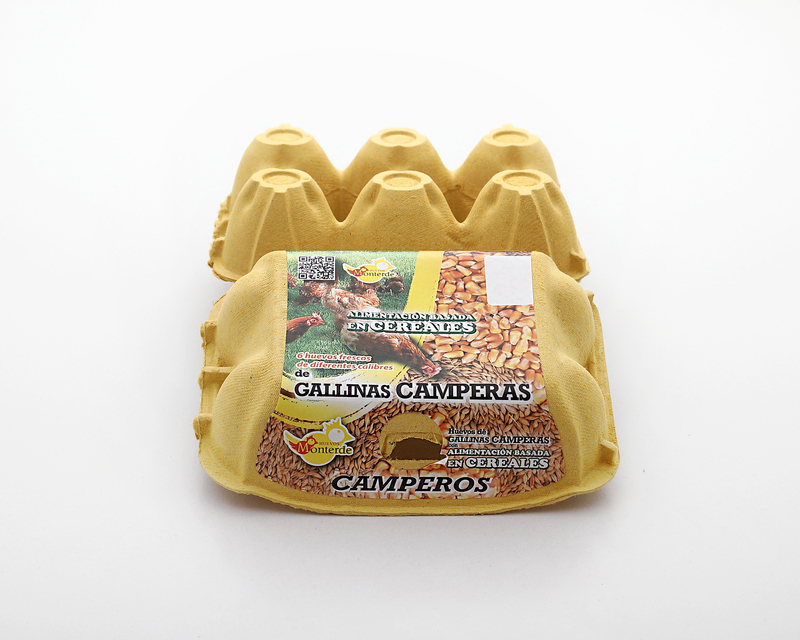 These eggs come from chickens fed with a feed containing more than 60% of cereals and grains. 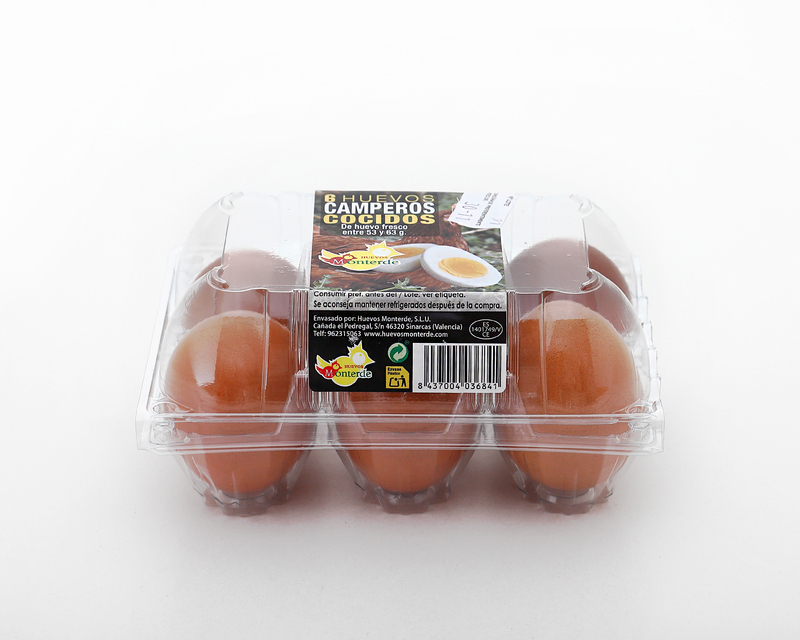 Egg laid by white hens, with the same nutritional value and organoleptic quality as the brown shell egg. 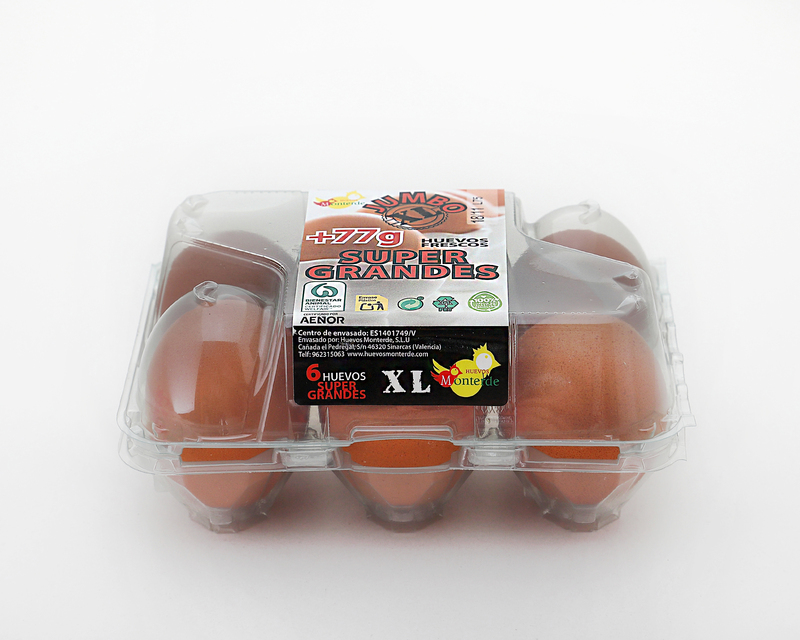 Eggs larger than 77 grams, exceptional quality and freshness. Pasteurized liquid white. 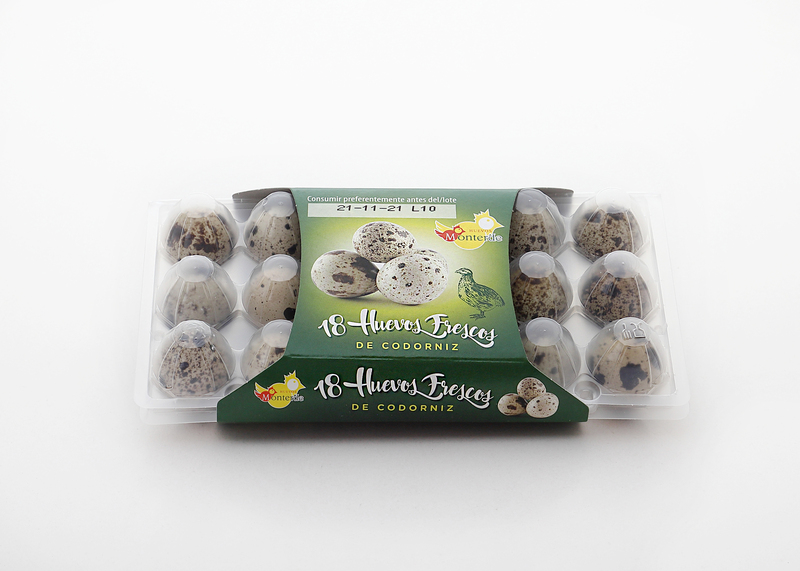 Its high protein content of high biological value and low in fat, makes it an ideal food for athletes with diets rich in protein, and for bakery. Always maintaining the highest quality standards. 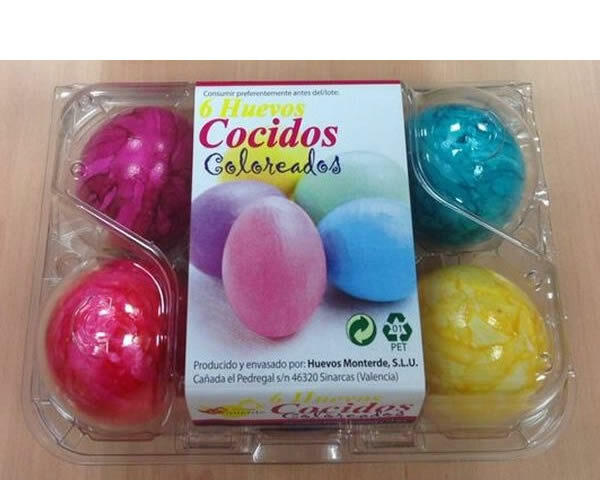 These cooked eggs impregnated with a layer of food colouring, obtaining a different variety of colors. 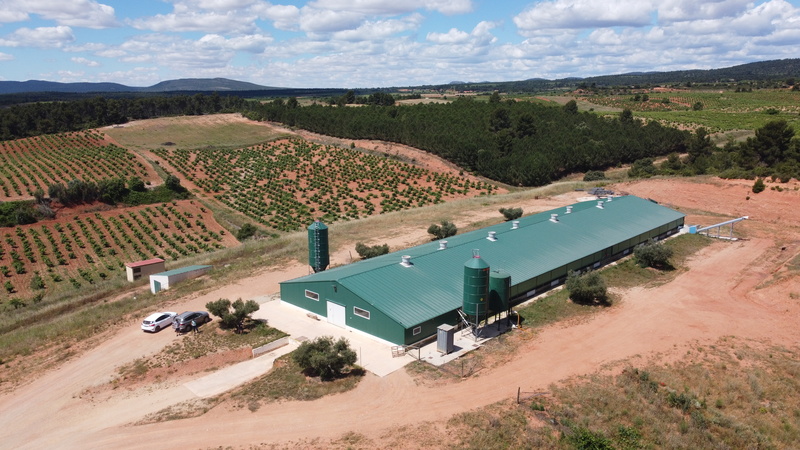 We have at our disposal two production centres made by modern facilities and adapted to current standards of animal welfare. 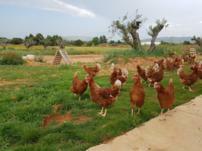 The hens are located with optimal temperature, ventilation and light controlled automatically. 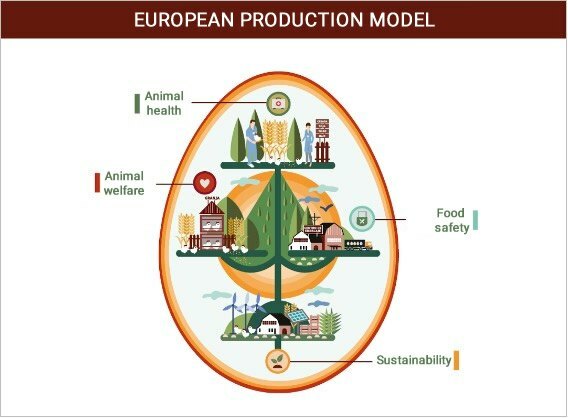 The biosecurity inside the farming unit is primordial and one of the most relevant aspects to take into account for the productivity of hens and eggs. 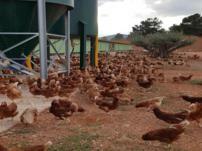 The strict control over the visits and the periodic self-checks of the feed, water, blood, eggs and dropping of the hens are indispensable elements to increase the biosecurity of the hens and the eggs they produce. 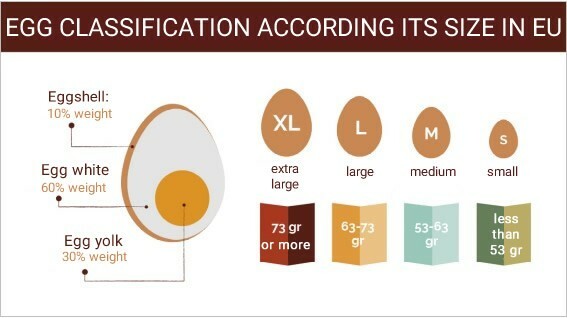 The eggs from the farms go daily to the classification centre, where they are classified by category and class (see chart). 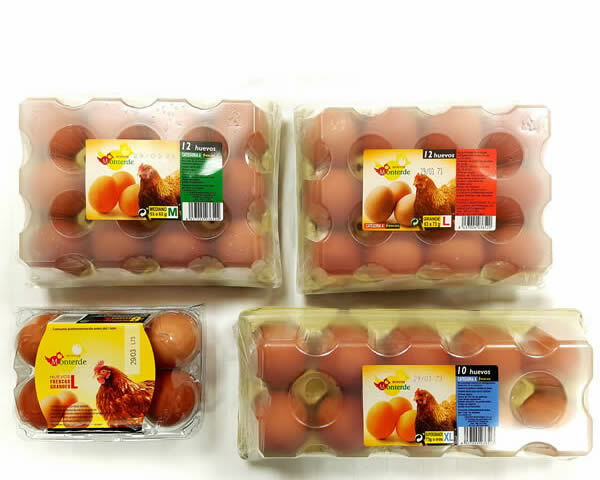 They are then marked, packaged and labelled according to their different formats, and later stored and prepared until their final daily shipment. 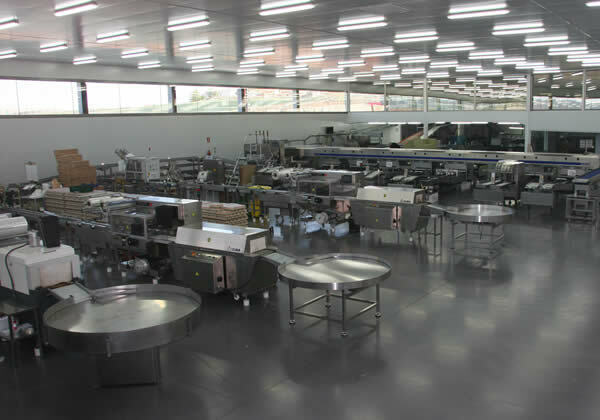 In the classification centre, the food handler personnel are trained in standards of good hygiene and handling practices, as well as in the application of the APPCC system (hazard analysis and critical control points). 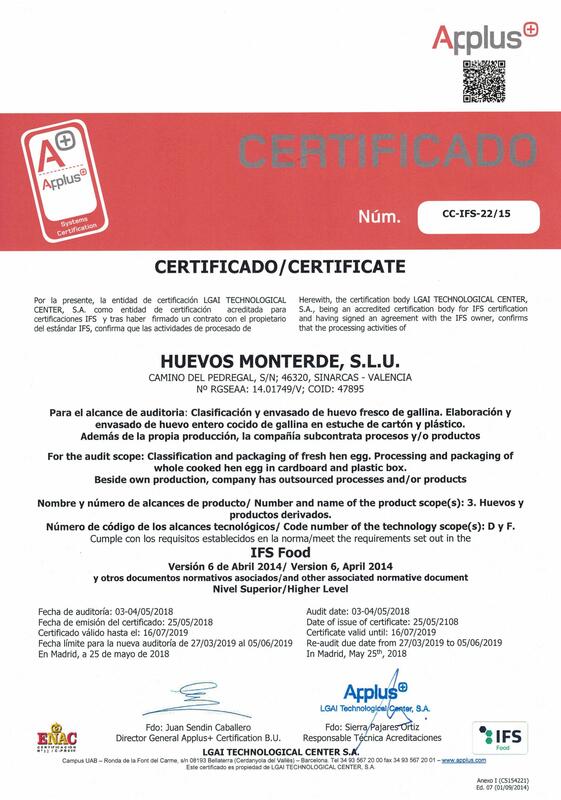 Training along with modern machinery and equipment and a computerized traceability system make the superior quality and safety of the Monterde eggs. The quality of our products is fully endorsed by rigorous internal and external analyses. 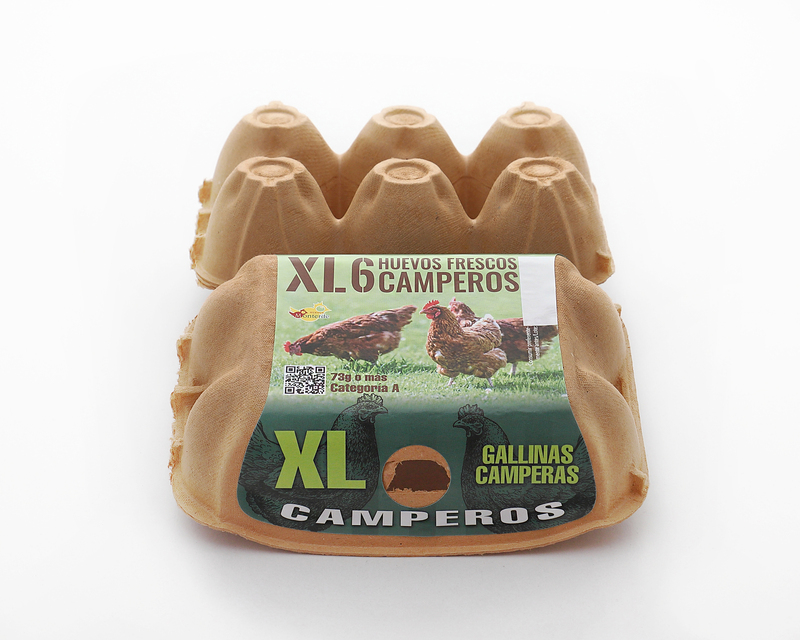 In our laboratory, vets and highly qualified staff performs frequent specific checks, weight, freshness, shell quality, texture and yolk tone. 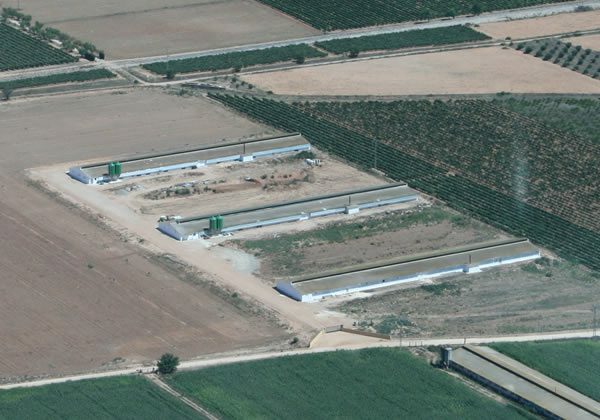 In approved laboratories external to our facilities, we carry out systematic microbiological analyses of each batch, of the fodder and water, always guaranteeing the best of our products. 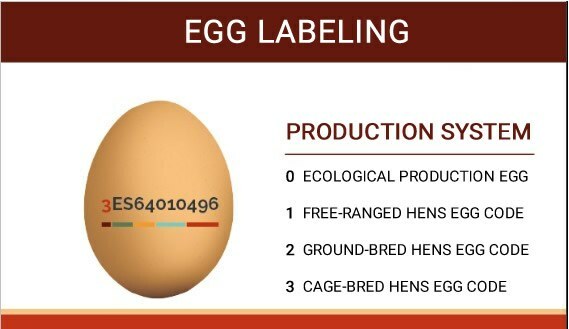 It is the ecological production egg code. 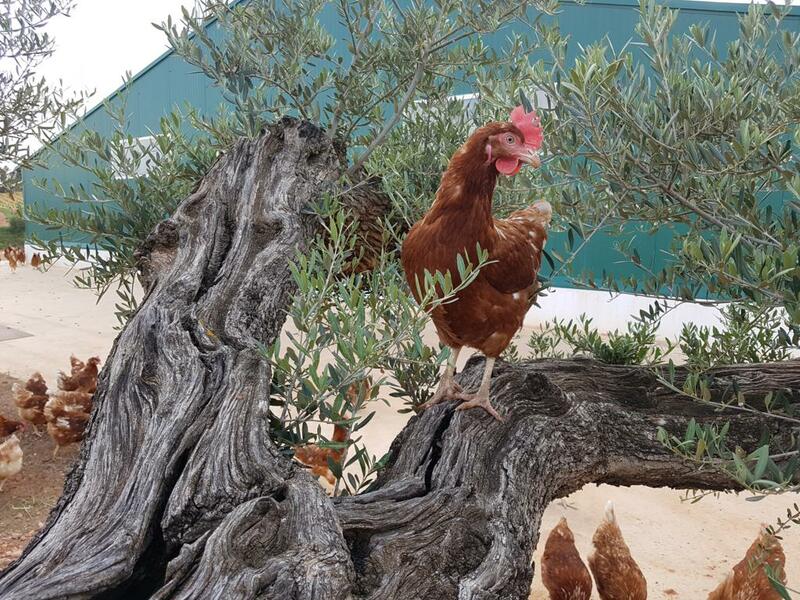 Hens are housed in chicken coops with permanent exit to open air parks, where they can peck the vegetation, dig in the ground and get sand baths. 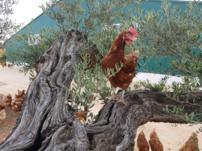 They also have hangers where they can climb to rest, nests to lay eggs and material to scrabble and peck. 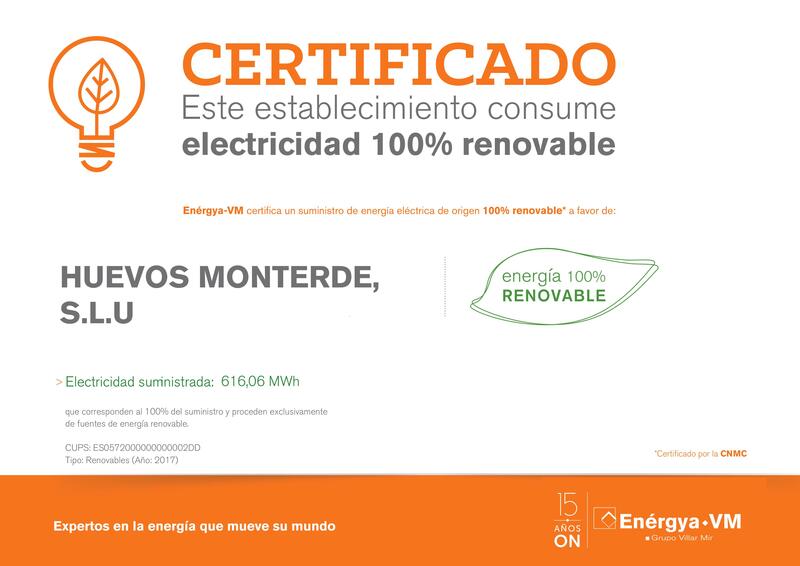 The way of production is regulated by a specific regulation, certified by the Regulatory Councils of the Ecological Agriculture, including in its packaging the community hallmark. It is the free-ranged egg code. 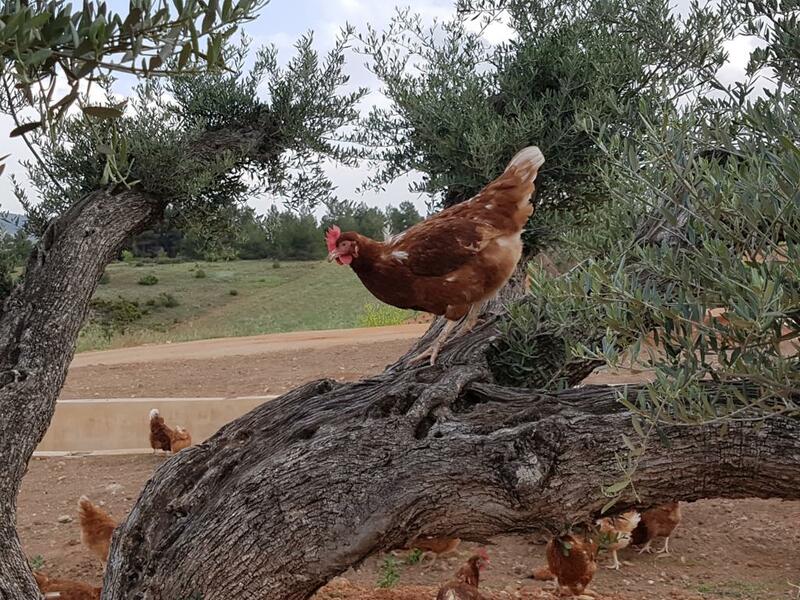 Hens are housed in chicken coops with permanent exit to open air parks, where they can peck vegetation, dig in the ground and get sand baths to care for their feathers. They also have hangers where they go to rest, nests to lay eggs and material to scrabble and peck. 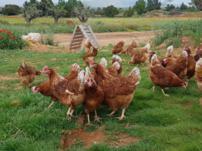 It is the ground-bred egg code.Hens move freely inside a covered chicken coop, allowing them to interact with each other and with the environment. They also have hangers where they can climb to rest, nests to lay eggs and material to scrabble and peck. 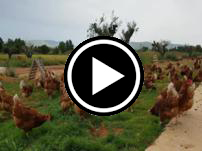 It is the egg code of hens reared in cages. Hens are housed in small groups, have hangers where they can climb to rest, nests to lay eggs and material to scrabble and peck. 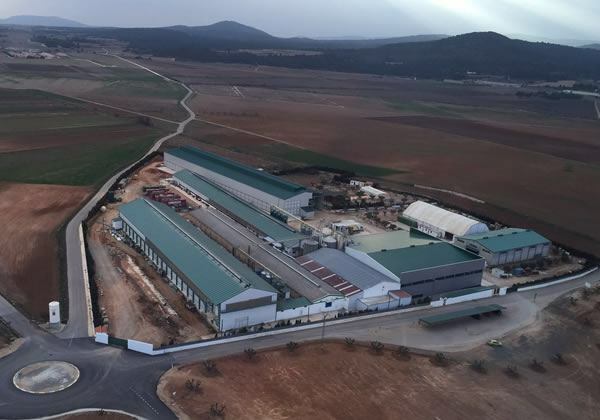 Our farms are located in Sinarcas, an inner town of Valencia, located in a privileged environment, resulting in an ideal climate for the production of our products. 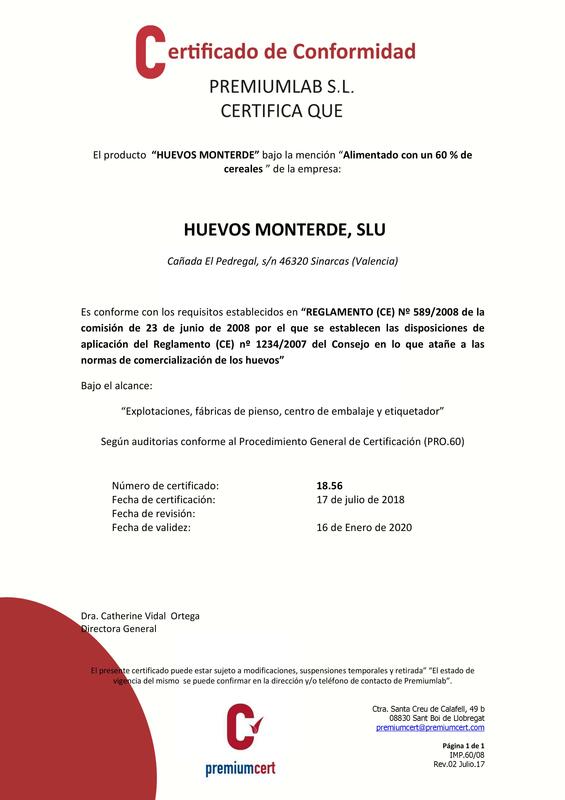 n accordance with Organic Law 15/1999, we inform you that the data obtained from this form will be incorporated into an automated file under the responsibility of HUEVOS MONTERDE SLU in order to attend your queries and send you related information that may be of their interest. 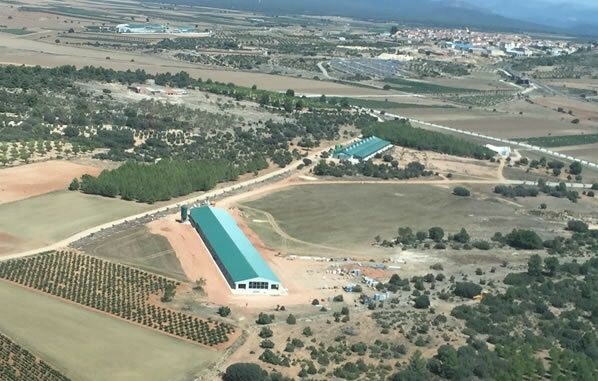 You can exercise your rights of access, rectification, cancellation and opposition by writing to our address CAÑADA DEL PEDREGAL S / N 46320, SINARCAS (VALENCIA).